On my way to the USS Arizona Memorial, I passed the Arizona State Museum, just inside the main gates of the University of Arizona, and made a mental note to stop by on my way out. I didn’t know what it held, but it seemed that the Arizona State Museum should hold things that had to do with Arizona history, right? Wrong. Or at least, half-wrong. It’s a museum of anthropology and history cover Native American cultures of the southwestern US and northwestern Mexico. It had the usual pottery, rugs and clothing — all lovely but nothing I hadn’t seen multiple times before. I wandered through endless earthenware jars and dodged earnest undergraduates scribbling endless notes, trying to find something on which to hang a blog post and a museum recommendation (other than: If you’ve never been to a museum of Native American history, art and artifacts, this one provides a short but solid introduction). I’d almost given up when I ran across these. I was caught by the belly buttons and the little paunch on the guy (gal? pregnant gal?) in the rear. 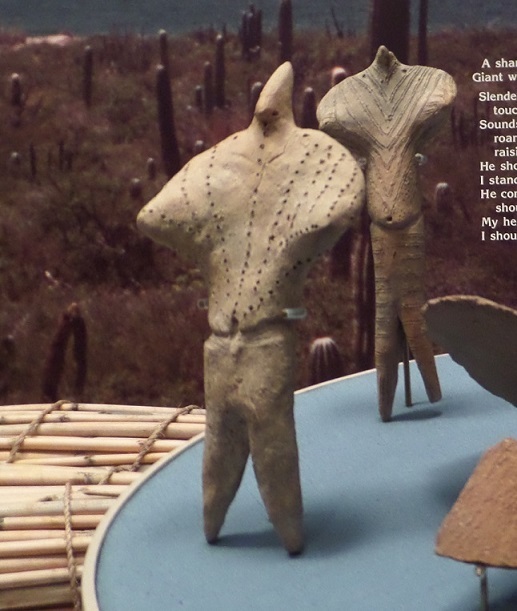 The figures are, according to the sign next to them, Seri ceramic pinheads, made sometime before 1900. The Seri are a Native America people who live, by hunting and fishing, along the coast of Baja, Mexico and have for at least 500 years. 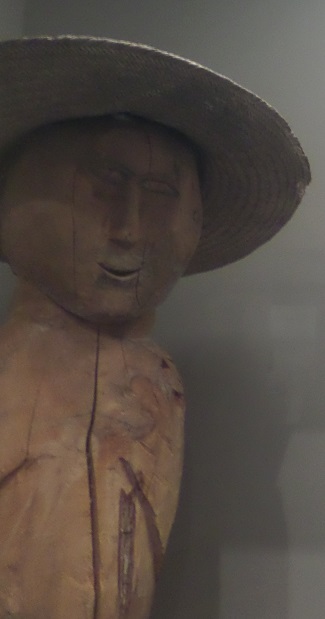 According to the exhibit label, the figures were made by the Seri. According to the Seri, the figures were made by giants, who were able to bring them to life and make them do their bidding. Although how much help they’d be, with no feet and hands, is a mystery to me. 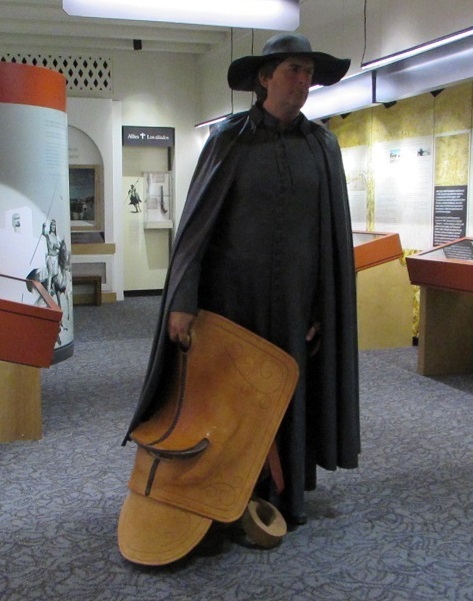 It’s thought that the giants– said to be of larger stature than the typical Seri but not really giant — were actually Jesuits (a Catholic missionary order) and Spanish soldiers that the Seri encountered in the 16th century and, thereafter, incorporated into their folklore. The Jesuits, starting in the late 16th century, make a frequent appearance in the north and central American west. 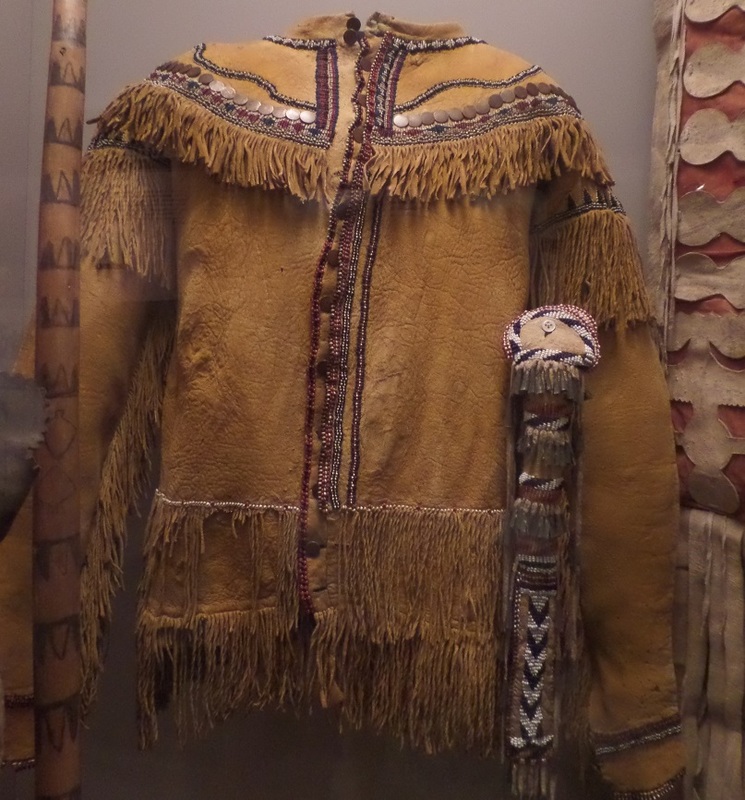 At the museum, their next appearance was among the Tarahumara, who lived in Chihuahua, Mexico. The Jesuits established missions in Tarahumara territory in the late 16th or early 17th century. But the Tarahumara were a feisty bunch and the Jesuits never got quite the grip on them that they had hoped. So when the Jesuits were expelled from Mexico by the Spanish in the mid-1700s, they left their Catholicism open to interpretation by the Tarahumana. And so the Tarahumara religion features (though there are variations on the theme among the Tarahumara) God, his wife, the Virgin Mary, and their children, including Jesus Christ. The Tarahumara and other Native Americans are God’s children, while non-natives are the Devil’s children. The Devil is God’s older brother and he lives beneath the earth with his wife and other family members. When a non-native dies, that’s where they go — to join the Devil in that not-so-nice place. That’s a rather jolly looking Judas (above), created for Holy Week festivities in the 1970s. Is it my imagination, or does he look like a Jesuit (below)? Not the sort of people you want knocking on your door in the middle of the night. That big stomach looks like a beer belly to me! I like the thought that it’s a beer belly.